This grand, powerful Diamond Equinox comes to you from the ancient Drakensberg Mountains in South Africa! Draken means Dragon and the energies of these magnificent mountains give us the opportunity to harness the primal energies running through some of the untainted earth grids. The dragon is also a powerful symbol that represents 'mastery of the 4 elements' (earth, air, fire and water) in order to release and realise the 5th element - quintessence, spirit. This symbolism and placement is perfect for supporting the energy of this turning point as we emerge from the 7th Pluto-Uranus square and move through the solar eclipse equinox. Most astrologers acknowledge the powerful cosmic and energetic implications of this time in respect of upgrading consciousness on our planet. With exquisite divine timing, the Diamond Light Grid has in the past week been experiencing an influx of elevated frequencies in preparation for this. This 'diamond upgrade' has been experienced by myself and a number of others this week as a grid infusion of very high speed, super-conducting particles of condensed and brilliant light. It is this upgrade that I will be sharing with you during this pivotal equinox event as we collectively anchor these frequencies into our own and the planetary grids. I have also been told that these frequencies have not been experienced on our planet before. In meditation, I have seen an elevated, super charged diamond grid overlaying the existing grids to enable the transfer of these new frequencies - this would not have been possible without the dedicated preparation of what I now see as the foundational grid, supported by so many diamond souls over the past few years. 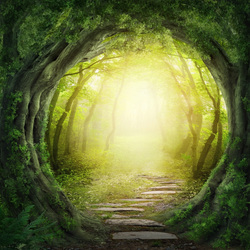 Please join us for the first powerful Diamond Equinox of 2015 as we prepare to step into the light at the end of the tunnel and onto our new foundations. You will also receive an additional, special Violet Flame meditation mp3 to prepare your energy bodies to receive the new frequencies.